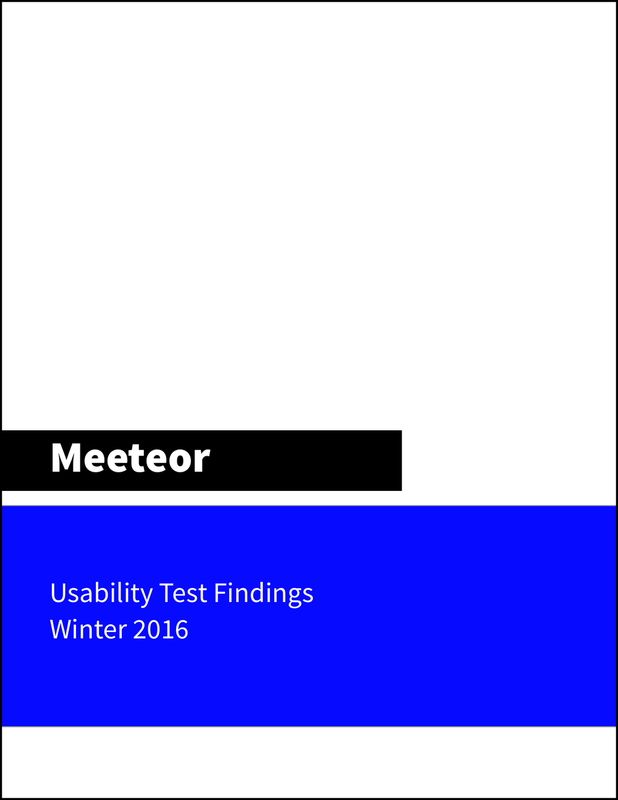 I am currently working with a SaaS startup called Meeteor as the UX Lead. 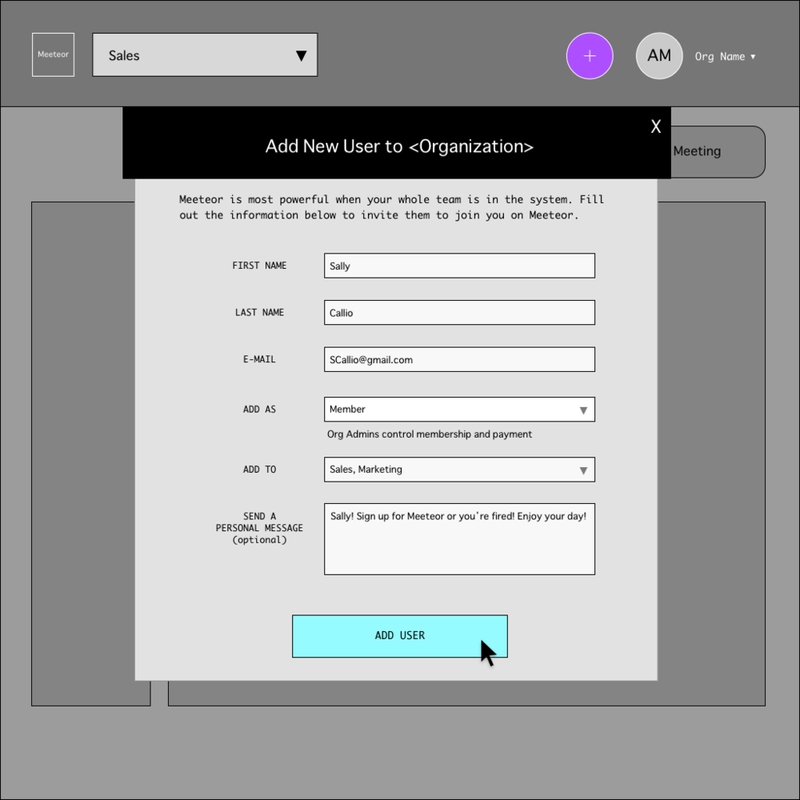 My main focus is on improving the onboarding experience in order to increase user retention. 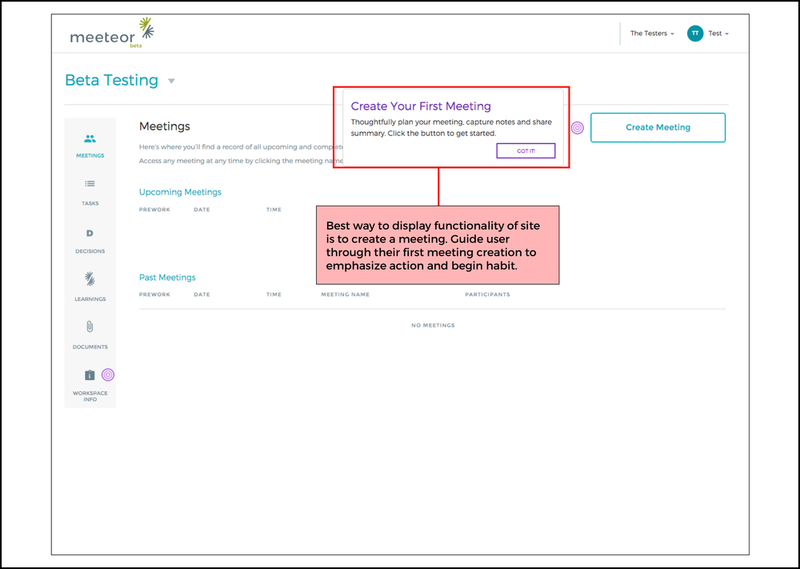 Meeteor makes meeting management software to guide users through the meeting creation and note taking experience by providing a structured way to improve meeting outcomes. 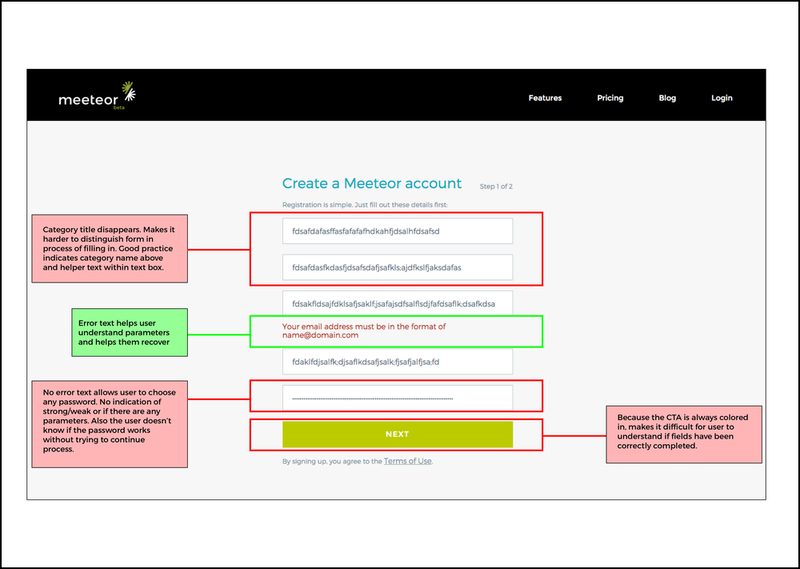 80% of users who create a Meeteor account, either through self sign-up or invited sign-up, never return. 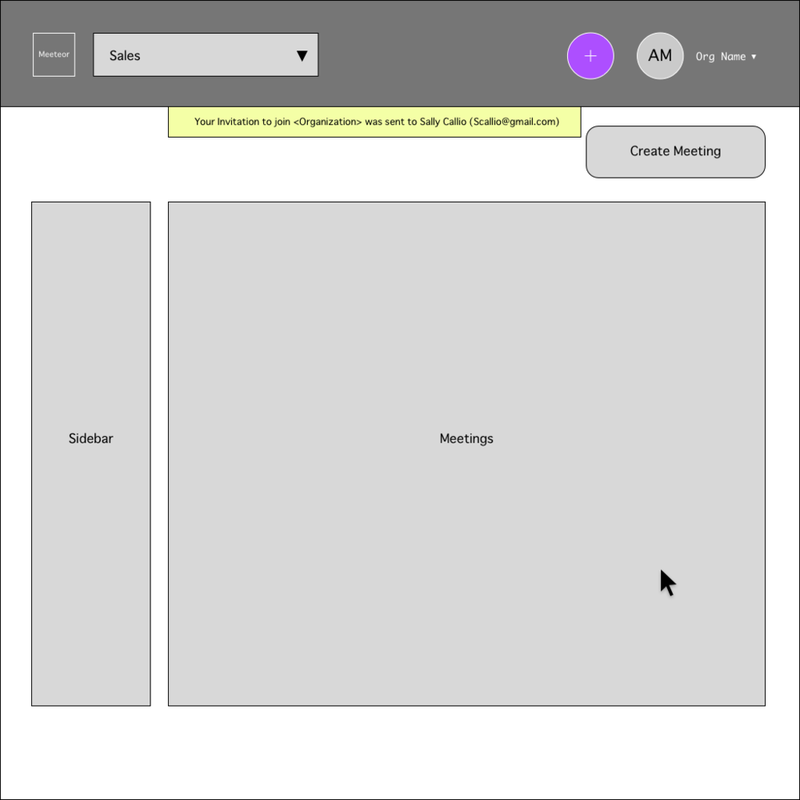 The KPI's are # of meetings created and # of active users. The company is currently working to improve the platform in time for an April full site launch. 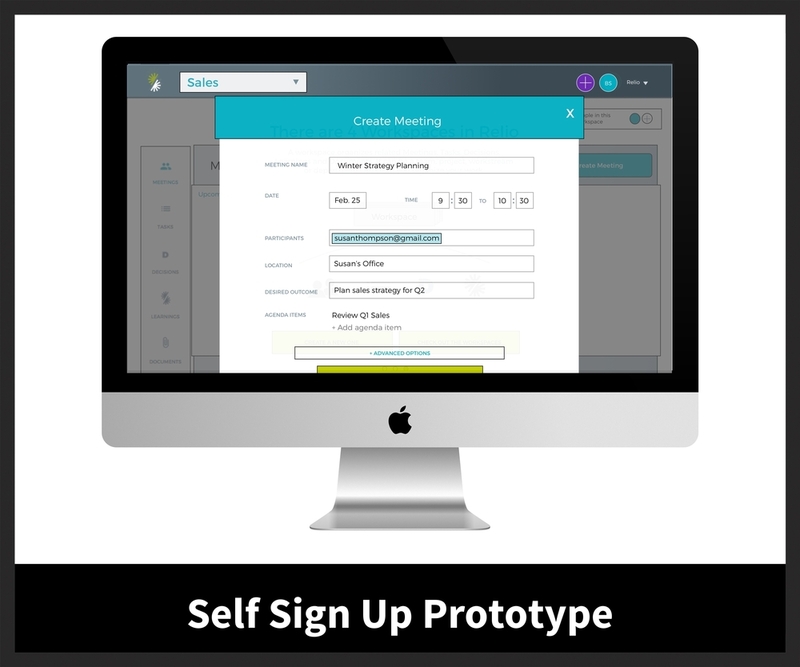 Team: Solo UX designer, supported by 10 people in development, product, and business teams. 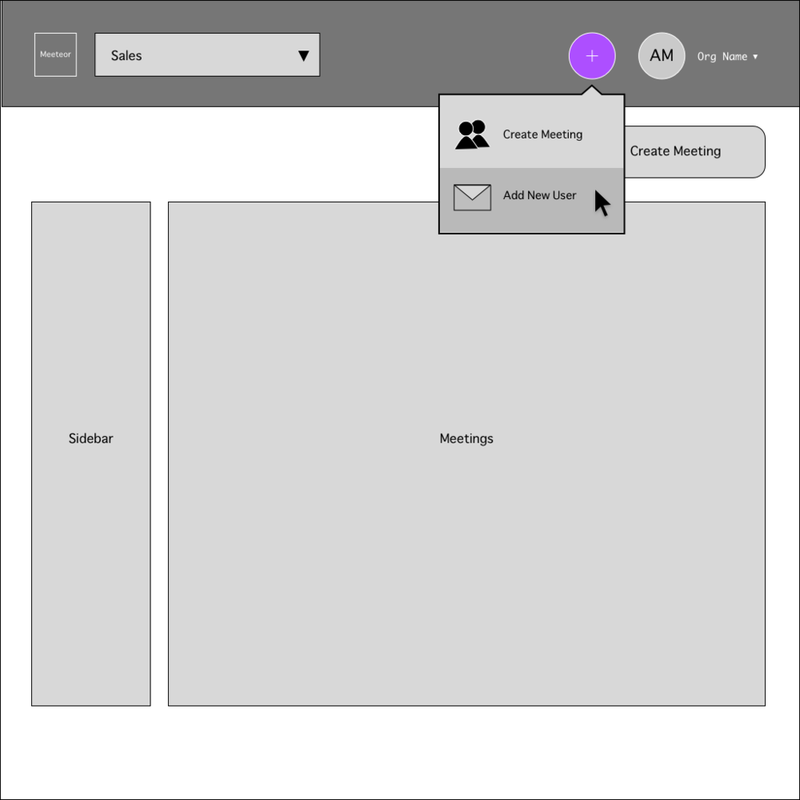 I began to reimagine how the onboarding process could look and feel. I was seeking a quick way to demonstrate the value of the product while illuminating how to use it very quickly. 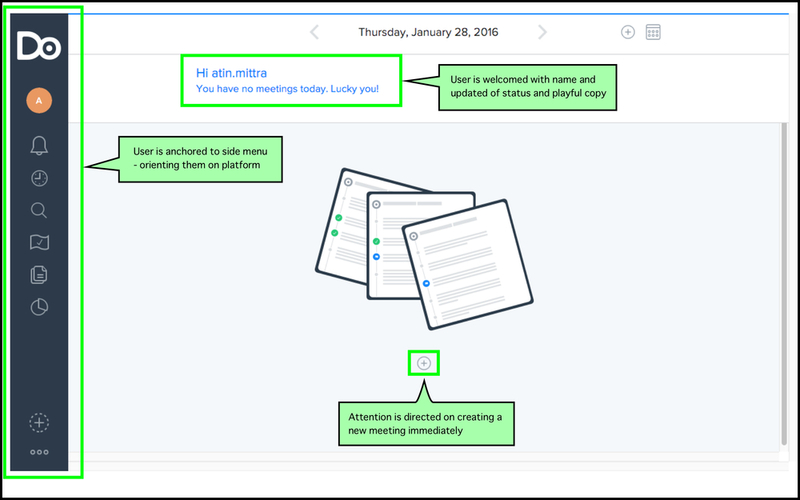 Based on the user tests, I realized most people will not read every line of copy so we couldn't use instructional paragraphs as a crutch any longer. 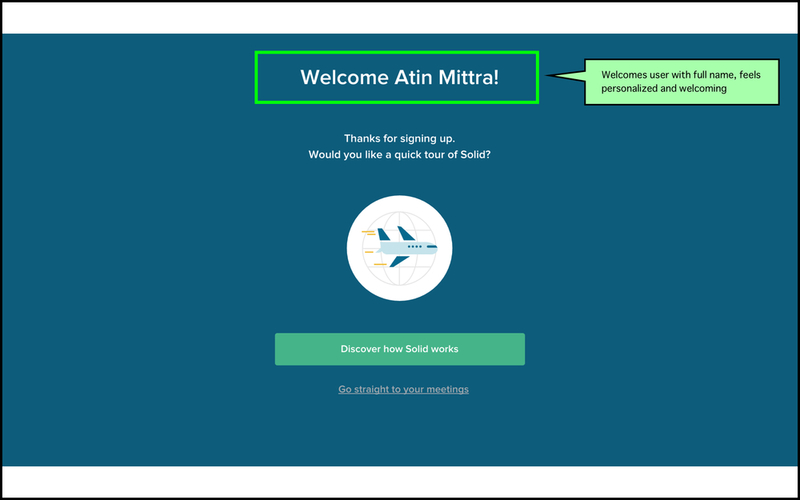 I was quite alarmed at how poor the onboarding experience was for invited users, so I tried to figure out how to show them that they weren't alone on the platform. 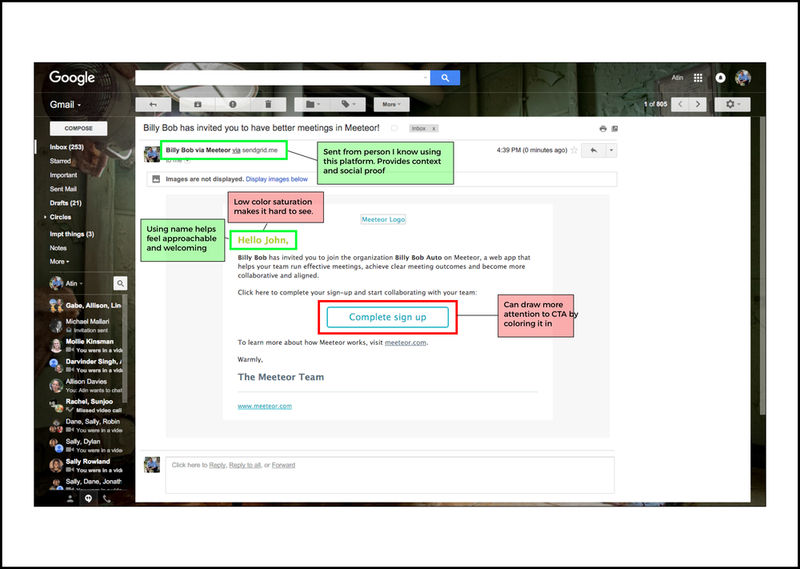 The key, I found, was to encourage collaboration - a goal the current site failed to accomplish. 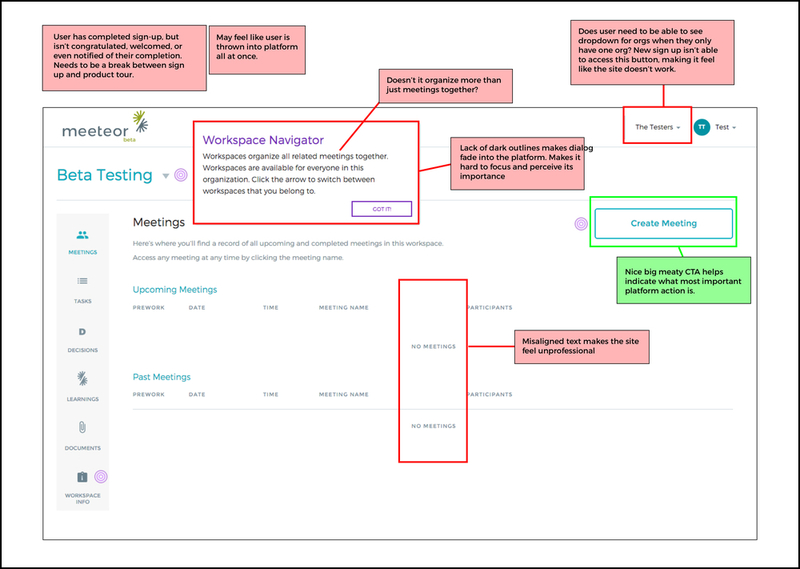 I sketched extensively, garnered feedback from team members, and iterated as needed. I wrote a screener survey and posted it to Craigslist NYC looking for candidates who attend at least 3 meetings/week, are between the ages of 25-50, and work in an office. Within five days I got 370 responses and filtered that down to 97 qualifying candidates. 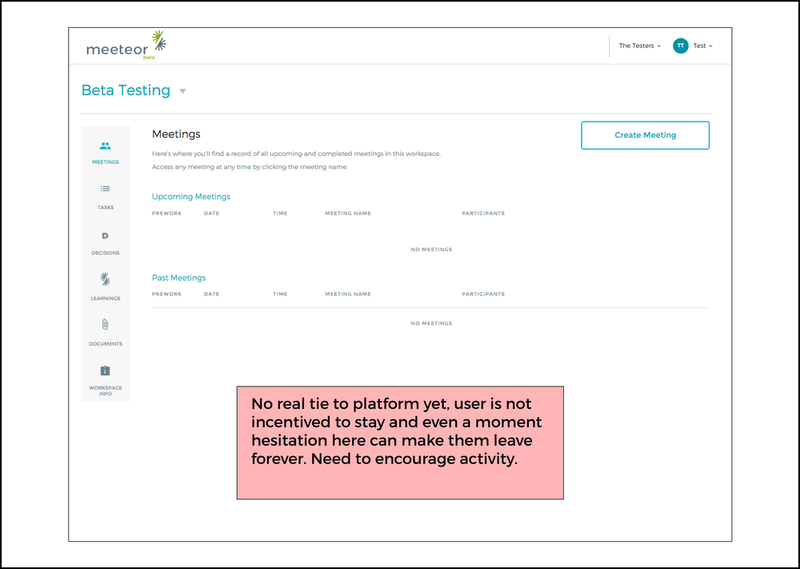 I scheduled 8 user tests, offering a $40 Amazon gift card for a 30-minute usability interview. 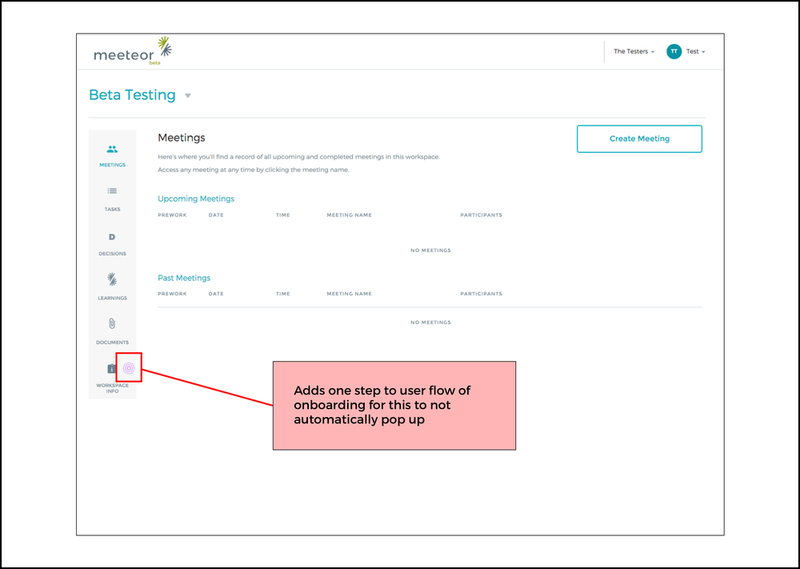 The business goal for onboarding was for each user to create one meeting and invite one person to Meeteor. In order to more effectively facilitate these two important interactions, I designed a global add button. 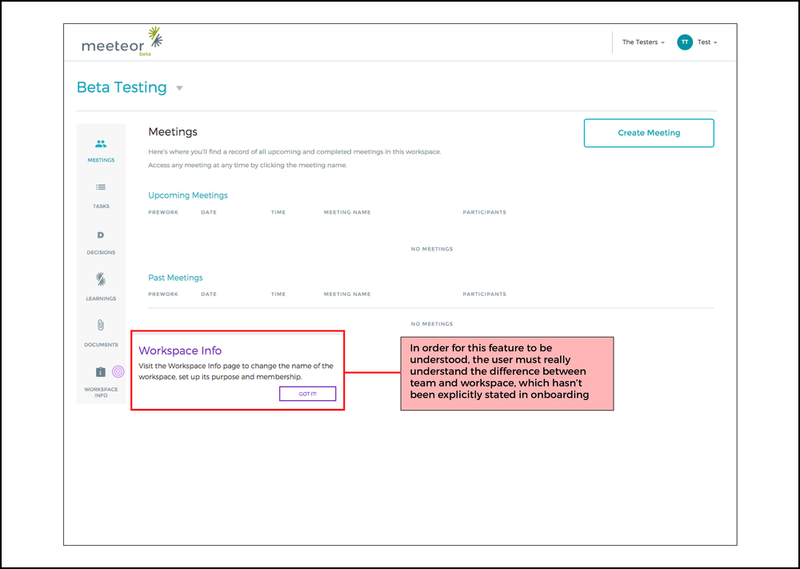 This feature solves the confusion users face on the 'My Work' page, where there is no CTA - a frequent error in user tests. The pop of color is meant to draw the user's eye to the global add button.